Can’t attend all three days of The Car Wash Show™ 2017? 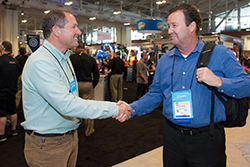 You’re in luck – one-day All Access and Trade Show Only passes are available. Visit http://www.carwash.org/news-landing/2017/03/22/experience-the-whole-show-in-one-day to view the full article online. Wash Away Thirst is teaming up with charity: water to unite a community of professional car washes, vendors and clean car enthusiasts to raise $30,000 for clean water in 2017. 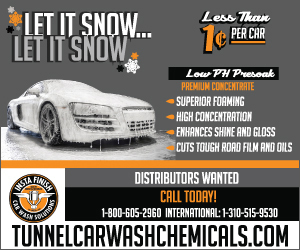 You can make a donation by visiting our booth at the car wash show (booth #4541) or by visiting this link. 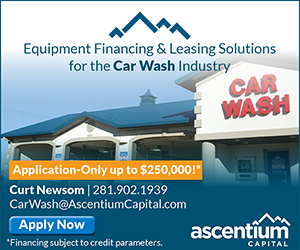 Visit http://www.carwash.org/news-landing/2017/03/21/wash-away-thirst-unites-car-wash-community-for-clean-water to view the full article online. With temperatures on the rise and the change of season in the air, people are getting inspired to do a bit of spring cleaning. Unfortunately, that inspiration rarely extends to vehicles. According to an unreleased study by Jiffy Lube of more than 2,000 drivers, people put more elbow grease into cleaning their homes than they do their cars. Visit http://thenewswheel.com/most-cars-are-gross/ to view the full article online. 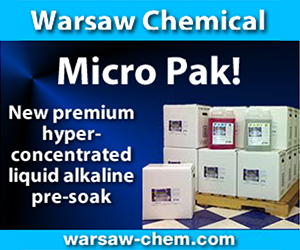 Recent years have seen an explosion in services that offer a product for a flat monthly fee. No longer the domain of magazines or newspapers, the subscription model now supports everything from streaming music to clothing shipments. Now, that approach is increasingly coming to the automobile. Visit https://www.washingtonpost.com/news/the-switch/wp/2017/03/20/the-days-of-owning-a-car-are-fading-away-thanks-to-these-alternatives/?utm_term=.7eb29ff6ffcd to view the full article online. 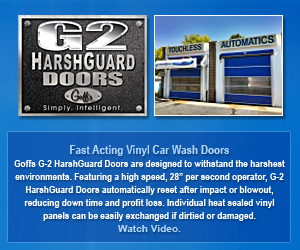 Plans are being developed for a new drive-in car wash on Bethlehem Pike in Hatfield. "It operates almost like a vending machine," said engineer Joe Estock — "your car goes right in, and comes out the other side perfectly clean." Visit http://www.thereporteronline.com/article/RO/20170314/NEWS/170319898 to view the full article online. It is called a Blessing Box — the wooden box on legs that is located next to Super Clean Car Wash on Dothan Road. The inscription on the front invites you to, "Take what you need. Bring what you can, above all, be blessed." Visit http://www.thepostsearchlight.com/2017/03/14/blessing-box-makes-debut-at-super-clean-car-wash/ to view the full article online. Gallup has been tracking employee engagement over the past 17 years, and its research reveals that roughly 30 percent of U.S. workers are considered "engaged" in their jobs. Translation: They are inspired by, involved in, enthusiastic about and committed to their work. These are your star employees who release discretionary effort because they're emotionally connected to the job. Visit http://www.inc.com/marcel-schwantes/first-90-days-how-to-keep-your-best-employees-from-quitting.html?cid=hmcol2_2 to view the full article online. A year into their jobs, how many employees still have the unbridled energy and enthusiasm that they brought with them to their first day on the job? How many still believe they can make a difference? Unproductive routines, corporate bureaucracy, and "administrivia" kill ambition and sap energy for far too many employees. That’s demoralizing for employees, and a waste for companies, which badly need the full energy and commitment of all their workers. Visit https://hbr.org/2017/03/your-organization-wastes-time-heres-how-to-fix-it to view the full article online. The old Southern adage, "If you don’t like the weather, wait five minutes," could certainly apply to the task of keeping pace in the world of digital marketing. Changes in trends and tactics shift quickly with the wind and, as digital marketers, the only way we can keep up is through innovation and information. Visit https://www.entrepreneur.com/article/290161 to view the full article online. Marketing is no easy task. Whole businesses exist devoted to marketing other businesses. Some companies have their own marketing departments. Small businesses often rely on the DIY approach to marketing. When developing your own marketing strategy, take care to avoid wasting your time and money. Visit https://smallbiztrends.com/2017/03/small-business-marketing-schemes-that-waste-money.html to view the full article online. Aquarama, headed by the family Bosio on March 7, 2017, concluded the important acquisition of Hypromat, Swiss franc multinational company operating on the Italian territory with 19 owned plants in the car washing industry. 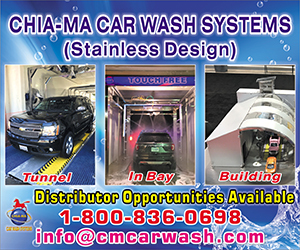 Visit http://www.carwash.org/news-landing/2017/03/21/aquarama-a-leader-in-the-field-of-car-washing-has-acquired-the-multinational-hypromat to view the full article online. 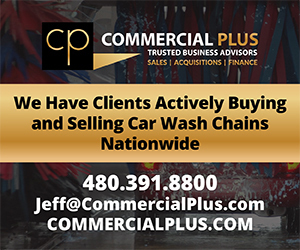 Citing his extensive retail management experience and working with customers in a high traffic environment, Stephen Craig II has been hired as general manager for Kim Supply, the car wash division of automotive aftermarket provider Service Champ. He reports to Dave Everett, VP of Car Wash and National Sales & Training Director. Visit http://www.carwash.org/news-landing/2017/03/22/kim-supply-names-stephen-craig-new-gm to view the full article online.